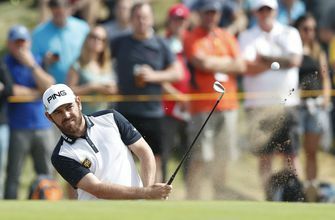 Marc Warren opened his new campaign with a six-birdie salvo but, along with most others in the 240-strong field, was left trailing in Louis Oosthuizen's wake in the first round of the South African Open in Johannesburg. World No. 1330 Madalisto Muthiya torched Bushwillow for a bogey-free 29-34=63 in the first round of the South African Open hosted by the City of Johannesburg at Randpark GC, coming to rest just a shot back from outright leader Louis Oosthuizen. Local man Erik Van Rooyen failed to make it to the start line at the South African Open hosted by the City of Johannesburg, pulling out due to illness.